YATE’S court building could be closed as part of a major review, with cases being transferred to Bristol. It cost £286,000 in the last financial year to run North Avon Magistrates’ Court in Kennedy Way but it was only used at 28 per cent capacity. The review is considering the future of courtrooms nationwide and for those in Yate, survival is linked to the outcome for the courts in Bath. They will be examined together as Bristol’s magistrates’ courts would be unable to accommodate the workload from both. Responses to a consultation running until October 8 will be considered before a decision is taken on whether either North Avon or Bath will close. Sandra Aston, who is responsible for managing the HM Courts and Tribunals Service in the South West, said she had identified buildings where the ability to provide an efficient service had been compromised by unsatisfactory facilities, low usage and poor value for money. Changes will affect staff and some people could have to make longer journeys to get to hearings, including witnesses and volunteer support staff as well as defendants. Ms Aston said she was especially committed to working with rural communities to provide alternative ways for the public to access the justice system. 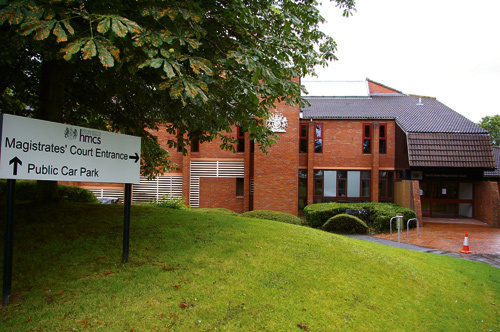 Yate’s court building dates from 1982, has five courtrooms, 13 staff and deals with adult and youth criminal cases from across South Gloucestershire. Although generally in reasonable condition, Ms Aston said significant investment was required in the heating and lighting systems. There are also 12 custody cells and one courtroom has video link facilities for witnesses to give their evidence, although there is no prison video link.